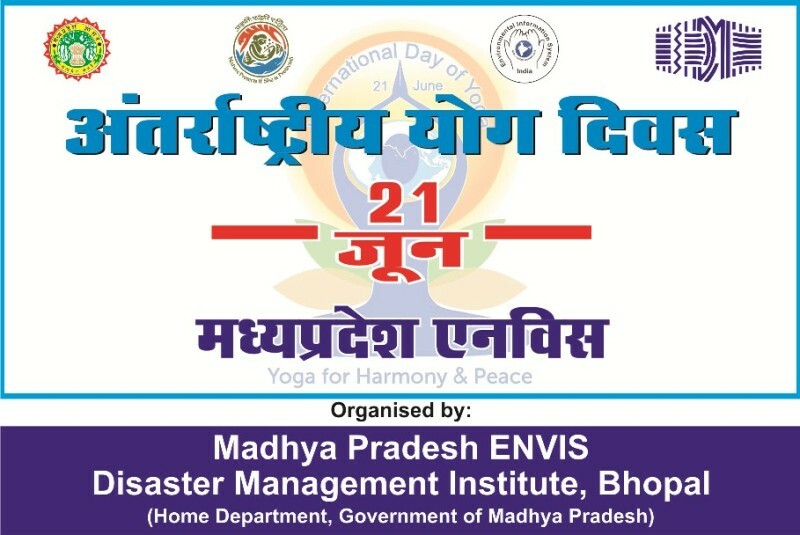 MP ENVIS was celebrated International Yoga Day, 21 June 2017 at DMI Campus, E-5 Paryavaran Parisar, Arera Colony, Bhopal. The event started at 6:30 AM in the morning. In this occasion we were organized Yoga, Meditation, Pranayama, Stress Management. We specially invited Dr. Jyotsana Shrivastava (Professor, Department of Yoga, Barkatullah University, Bhopal) and her team. We also invited the students, researchers, environmentalist and all DMI employees. We distributed a booklet of common yoga protocol by Ministry of Ayurveda, Yoga & Naturopathy, Unani, Siddha and Homoeopathy (AYUSH), Government of India. The International Yoga Day was celebrated on 21st June to bring peace, harmony, happiness and success to every soul in the world. This was a great opportunity to imbibe the value of discipline. Yoga is a mental, physical and spiritual practice that needs to be carried every day. All employees of DMI and students got the chance to know how yoga embodies unity of mind and body. Different yoga postures like Vrikshasana, Uttaanaasana, Trikonaasana, Bhadrasana, Shashankaasana, Bhujangasana, Pawana Muktaasana, finally ended with Pranayama and meditation. Various Aasanas were performed as per the guidelines given by the Ministry. Prayers were recited before and after the programme. During this function various Yoga Aasanas along with benefits explained by the Yoga Expert, Dr. Jyotsana Shrivastava (Professor, Department of Yoga, Barkatullah University, Bhopal), emphasized on the importance of the day. She stressed on the need of practicing Yoga and Yoga as a way of life. We are Heartfelt thanks to our Director, Dr. Rakesh Dubey for giving an opportunity to celebrate the International Yoga Day. We are also thankful to Dr. Jyotsana Shrivastava and her team for valuable guidance.